The Center for Michigan, MLive Media Group and Michigan Radio present a series of unique events this election season. Ballot Bash 2014 will give you the chance to watch live and in person as candidates for governor, attorney general, secretary of state and U.S. Senate answer questions from the MLive Media Group statewide editorial board. You'll also get to discuss issues that matter to you this election year with top political reporters, including Center for Michigan and Bridge staff, from the three partner organizations. There is one remaining event in Royal Oak. The format will be upbeat, with live music and refreshments. About 200 people are expected to attend, and the crowd will be a mix of readers, media representatives, candidates and their guests. The event will be livestreamed and video archived. 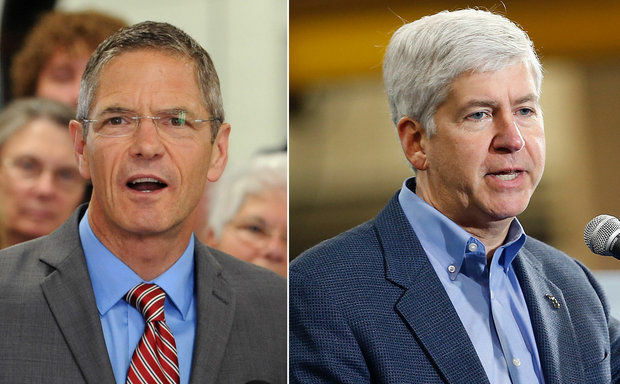 MLive Media Group will publish its endorsements for these races the week of Oct. 20. Don’t wait—register today! Although the events are free, registration will be required to gain entry.